Happy September everyone! We are just weeks away from the official start of autumn, and September brings us some poerful energies to work with. We have two eclipses occurring and Mercury will be retrograde in Virgo until September 22nd. Also, adding to those energies is expansive Jupiter moving into the relationship oriented sign of Libra, where it will be for a full year. We also celebrate the harvest festival of Mabon, which is all about harvesting all that we have planted and nurtured through the year so far, and getting ready for the darker days of winter. My special Mabon/Autumn Equinox tarot reading is on offer in the Monthly Specials section this month along with a few other inspirational readings to help bring balance into your life, such as the Spiritual Journey and the Fool’s Journey readings for those who are looking to start off in a new direction. So be sure to stop by and have a look at the September specials! You can have a browse through the many specialized readings I offer on the Tarot Readingspage. Tarot’s Life Path & Personal Growth section is a good place to start! Or take a wander through the various Oracle readings on my site, like Rune, Angel, Faery and Animal Totem readings. All of these categories can be found on the main Reading Room page. Don’t forget to check out the other areas on the Readings page, like the Oracles, Rune and Animal Medicine Cards sections. Yes folks, its that time again! Mercury starts it backwards motion and this cycle will be around for about 3 weeks, ending on September 22nd. For nearly a week before and a week after today Mercury will be moving at a snails pace or pausing entirely. At this time we can experience confusion, intensity, frustration, lots of miscommunication or we may feel we are getting bogged down with any progress we were making. Mercury retrograde cycles make an ideal time for reflection, re-thinking, going over plans and tying up those loose ends before we get started on any new projects and ventures. Later in Mercury’s retrograde cycle it is typical to receive new info and insights that we may not have been expected or be prepared for. And this can end up changing how we see situations, causing us to have to tweek plans here and there as we consider this new barrage of intel. This is why many astrologers advise not to make any permanent or final decisions during Mercury’s retrograde cycle, and even as far as two weeks after Mercury finally turns direct. Its not all bad though! This is a great time for doing research, fact finding , investigative work and anything else necessary to prepare us for major decisions, which we can put into play after this retrograde cycle. So, try to stay flexible, give yourself a lot of time when setting up your schedule for any unexpected changes and, most of all, flow with it with. Do things that tap into your creative, intuitive and non-rational mind until Mercury turns direct. Mercury is retrograde in the sign of Virgo. Mercury rules Virgo, so right away Mercury is in a strong position. 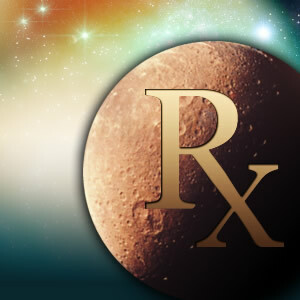 Those who have Mercury as their chart ruler or have personal planets touched by this Mercury retrograde will probably find this a surprisingly fortunate period. It is challenging yes, but in a way where we have really achieved something. Happy Sunday everyone! Well, here we are at the last week of August already. Many of you will be wrapping up your vacations or grabbing a short quick break before school starts up again. Enjoy these warm days while they last! Today has an easy flowing energy with the Moon in sensitive Cancer and Mercury aligning with Venus. Its a day where sharing and communicating in or relationships is favoured, so make the most of this energy. Let’s take a look at what this week has in store for us. Monday starts off with a Void of Course Moon that will shift into heart opening Leo just before midnight. Leo is where we feel more energetic and optimistic. We feel like we can do anything! We crave compliments and appreciation, and are generous with kind words to others. We also get some sparky inspiration in the air with a Leo Moon, and we may encourage each other to shine more brightly. Go ahead and hold the stage. Tell a story and make it dramatic. Make some children laugh by being a clown. Tap into your inner thespian, and make all the world your stage! We also have Mercury in a conjunction with Venus, a transit that is marked by receptive awareness, positive social connections, and diplomatic communication. That means having to negotiate any contracts, agreements, or mutual plans will go a lot more smoothly because all parties are focused on mutual balance to achieve an outcome that benefits all. Our words comfort and appease those around us (as do their words to us), and communication at this time is lighter and more pleasurable. Our communication is in sync and in harmony with those around us. We also feel more drawn to things of beauty and pleasure, preferring to reflect on the beauty that is in our world and all around us. Tuesday sees the planet of love, Venus moving into one of her favourite signs of Libra. Its a happy relationship combo that will continue till close to the end of September. So we have the opportunity to put some extra effort into our relationships, or in beautifying our surroundings. It’s a time that bodes well for peace, harmony and a more objective view of our relationships. The shadow side of this position is dependency, inconsistency, and superficiality. In an attempt to avoid unpleasant situations, we could easily gloss over deeper issues at play in our relationships. It’s probably best to avoid the trap of acquiescing to our partners but privately resenting the fact or thinking ourselves martyrs for doing so! This is also a time when we are more artistically inclined. We tend to seek balance in our personal environment. Mercury will also be turning retrograde today until September 22nd. Make sure you leave extra room in your plans and when travelling, because Retrograding Mercury can create snags. A lot of people want to just hide when this time of communication breakdowns hit, but there are some good things we can get from this cycle, like getting our home office cleared up and re-organizes. Its a time for some behind the scenes planning for those projects that we can move forward with after this Retrograde cycle ends. On Wednesday the Moon moves into practical Virgo, where its the small details that seem to be more important to us now, in some cases more than they are in reality, which can lead to arguments over what seems like insignificant little things. We do become more disciplined and responsible, careful and diligent, but only with those small details. Its not a good time for making any large, risky or important decisions now because we tend to not be tapped into our intuition enough to foresee what the consequences of the future will be. The asteroid Ceres will be turning Retrograde today as well. When the Great Mother Ceres turns retrograde the whole aspect of mothering and nurturance is up for grabs in our lives. This goes far beyond “just children”, since Ceres describes how we give and receive loving support to and from others. We are forced to reconsider what it is that we truly care about in our lives. It’s a time when some of our “babies” need to be allowed to let go of the apron strings and grow, especially if we are holding back that growth. When Ceres is retrograde, unhealthy patterns such as addictions, abusive tendencies and co dependencies become more apparent. Pay attention to what Ceres is pointing out to you here and make changes! We need to recognize whether we are rejecting or filtering out the love and healing that others are giving us at this time. Quite often we can be the worst critics and cruellest to our own selves. So this is the time to reconnect to life and love and take this time to pamper yourself and cultivate self love. Thursday is our Virgo New Moon and Solar Eclipse. When we have a New Moon we also have the Sun in the same sign, which is why these energies are so focused and potent. For those who do energy and spell work, the New Moon is the perfect time for setting intentions for the things you wish to create, cultivate, manifest and develop. With the New Moon in Virgo those new beginnings take on a more practical and grounded form. It blends our spiritual path with our more mundane pursuits. The energy here is about healing and rewiring ours old programming into something more mindful. Friday brings us a challenging square between the Sun and Saturn, just in time for the weekend. But this is a fairly short aspect. The Sun’s transits to planets in a person’s natal chart represents brief influences that usually last around a day. So today we have the Sun making a square with Saturn which will highlight those areas where we need to accept our own limitations, boundaries, and expectations. We may find ourselves faced with the consequences of avoiding some task or obligation, or at least receive a warning of what could happen should we continue to avoid them. Another possibility could be having to accept a situation that means accepting responsibility that we don’t want, or that restricts our freedom in some way. There are positives with this transit too, if we take the time to understand the nature of the situation. For example, an area of our lives may be pruned back in order to keep things under better control, or as a way to make room for something new to grow. How stressful this feels to you will depend on how well you deal with hard work, restrictive limits, responsibility, and authority. Those who have issues with authority for example could find themselves butting heads with someone who is in charge. Adding to this is an opposition between the Sun and Neptune, an idealistic and impracticable transit, where we come face to face with the boundless universe for a few days. This energy can come to you in several ways, for example as creative inspiration, magical encounters with the great mysteries of life, or really vivid dreams. We can feel this tension between infinite vision and clarity of purpose. For some it can feel like a pull between feeling centred within ourselves and feeling connected to the great unknown of the universe. Lastly, we have a conjunction between Mercury and Jupiter. With Mercury conjunct Jupiter we can visualize in broader terms and see the “big picture”. This could be a time when you have a strong desire to verbalize your own goals and ideals. Words flow freely but be careful not to exaggerate! Travel is favoured as well under this transit. Keep in mind however, that Mercury is now retrograde. The rest of the weekend is fairly quiet for us. We do have the Moon moving into balancing Libra on Saturday, and this energy will be with us for the rest of the weekend. Its a nice social energy to work with and it creates this feeling of harmony and calm. We find we more easily connect to people, compromise is more likely and conflict less so. Its a time when we find it easier to understand and relate to others. We like to be pampered and pamper others under a Libra Moon too, so some pampering with a close friend or two could be just what you need this weekend. Happy Sunday everyone! Its hard to believe we are coming up to the last week and a half of August already. But here we are, in the midst of summer vacations and lazy days..for some anyway! It won’t be long before the kids are back at school/college, some for the first time. As we shift ever closer to autumn we tend to go through a “harvest” stage, where we get ready to gather what we need in preparation for those colder months ahead. Some have a second “spring cleaning”, chucking out what isn’t needed or necessary, to make room for that harvest time. Today is a good day for that because the Moon is still in active Aries and our bodies want to move. The start of the work week looks to be a heavily task oriented one, so let’s have a closer look at what this week has in store for us. Monday sees the Moon shifting into comfortable Taurus in the early evening, so use that Aries energy to get tasks finished up before home time today. In Taurus we feel the tension of the past few days start to dwindle away and it feels like we can breathe a sigh of relief. We tend to feel calmer and more at peace, our thoughts and actions slow down though and it may feel like its hard to get ourselves going for the next couple of days. We also have Mercury aligning with Jupiter today, which makes this a day when emails and phone calls will be keeping us busy. The Sun also moves into Virgo today, so Happy Solar Return to all of you Virgos out there, especially the one who captured my heart nearly 5 month ago Duncan Clewley. Tuesday is a quiet one for us, but Wednesday gets a bit of a boost when ambitious Mars makes a conjunction with Saturn. Last Spring saw these two planets try to align but they didn’t quite make it and this left a lot of people feeling as if they were treading water, stuck, in limbo, broke or just plain tired out. But this time around they connect and it gives us the traction we need to put plans and projects into action. It is a tricky transit however, because we are now being challenged to discipline ourselves and apply our energy in practical and organized ways. Thankfully we have that Virgo energy helping us there. The main problem we face is that we want to just plunge right in there without paying due care to those little details. One more thing! Mercury is starting to slow down and get ready for its retrograde cycle at the end of this month, so leave extra room in your planning for those unexpected changes. This is a tricky transit because we are challenged to discipline ourselves and apply our energy in organized and practical ways, think ahead and be cautious of the small details. The problem is….we don’t feel like doing that! We would rather plunge ahead, throw caution to the wind and act without a plan…sometimes as an act of defiance. Unfortunately, our circumstances won’t be playing ball with us now, being less than cooperative and tossing frustrating delays, obstacles and anything else that interferes with our plans and slows us down. Now, if we act out in frustration alone we will have a more difficult time during this transit than necessary. Stuff still needs to be done after all! If we slow ourselves down a bit, accept those mundane tasks that require organization and add a bit of patience to it all…we will find our drive kicks into gear as we start to accomplish little tasks. Thursday brings the Moon into Gemini, where we become active, feel stronger emotional sensitivity and a need for socializing. We also have the tendency to fall under influences that can lead to the danger of getting off course and making mistakes. Some of us will try to do everything all at once, which later leaves us stuck with unfinished projects and ideas. Still, its a good energy for ending the work week and starting the weekend because its a social vibe. Friday brings Mars and deceptive Neptune into a challenging square, so don’t believe everything you hear right now. In this aspect Neptune is being challenged to move fast by ambitious Mars, but we need to not rush things or mistakes will happen. We need to be in harmony with the pace of the Universe and not push when something isn’t quite ready to budge. For up to a week before and a week after today, we have a chance to discover and work with our blind spots and the hidden motives that tend to trip us up. It may feel like we are spinning our wheels or “shadow-boxing” and we aren’t even sure why right now. We may be fighting a hidden agenda or unconscious motives (either our own or someone else’s). We might also be trying to apply a concrete solution to an ambiguous situation, and then wondering why it isn’t working out very well. Saturday sees the Moon shifting from restless Gemini into nurturing Cancer, where we become more sensitive and go deeper into our inner world. We want to be around those we have deep connections with and its a feeling of belonging and safety that motivates us now. The Moon feels right at home in the sign of Cancer, as it rules the sign. This Moon position has great healing potential. Although insular by nature, our feelings run deep, making it an ideal time to get in touch with what motivates us. We want roots; we crave a sense of intimate connection that will. Quite often, when the Moon is in Cancer, we all become homebodies. We want to retreat to the place we feel most at home. This can bring out a sense of “homesickness” if we’re far from home, or estranged from others. It may be a time, then of reaching out to those that know us best. Saturday afternoon sees a transit that is considered to be lucky with Venus and Jupiter coming together. A good day for playing the lottery! Its a magical transit where we have the chance to fulfilling our heart’s desires. At this time we tend to feel especially generous and giving, optimistic, and kind towards those around us. This is a really good time for starting a new relationship or a financial project. It’s also a good time for making amends with someone we have fallen out with or let down. If social opportunities pop up take advantage of them at this time! Sunday is a quiet one for us so use it to recuperate and get ready for the new week ahead! Happy Sunday everyone! I hope you have all had a good weekend so far and are able to relax and enjoy the day before we head back into the new week. We are currently under the influence of the Capricorn Moon, which will be with us for the start of the work week. Capricorn’s energy usually means some hard work and responsibilities (boo hiss). We may notice a decrease in our emotional charge due to our feelings of responsibility and duty coming to the fore now. Its a time for taking logical and practical approaches to things, but we can sometimes come across, or have others come across as less sensitive. Its a time for going over plans for things like our budget, work or business. Now, let’s see what the rest of this week has in store for us! Monday is a quiet one for us with nothing more than a Void of Course Moon that comes into play in the early hours of the morning. Tuesday however, brings a happier lunar aspect with the Moon moving into Aquarius. In Aquarius we want something different in our routines. We have feelings of openness and a sense of inner freedom now. Our emotions become more alive and we feel we can express them more freely. What we can’t cope with are limitations being imposed upon us or pressure from others because our main focus is on our inner feelings of independence. We tend to have a sense of emotional coolness or detachment at the personal level, combined with an emphasis on idealism: such is the nature of the cycle we are now entering. We have a tendency to allow ourselves more freedom. We also have a trine between the Sun and Uranus, where we become more open to being spontaneous and just going with the flow with no real plan. All of these energies can feel quite liberating for many. In fact it may be just what is needed to get us out of a rut. This is a good time for breaking out of old cycles and habits. Flashes of insight, inspiration, and bursts of courage are all part of this transit’s magic. As always, there is a warning here too. And that is to make sure you don’t become too reckless. Keep it balanced so you don’t come across as too erratic, careless, or chaotic. Wednesday is another quiet one, but Thursday brings us our Aquarius Full Moon. The Full Moon is the best time for doing work on letting go of the old and releasing the negative. In Aquarius we get a sense of emotional coolness or detachment at a personal level, combined with an emphasis on idealism. This can often help us in dealing with issues that have emotional ties, as Aquarius lets us detach a bit and see things in a new perspective. We have this Leo (Sun) Aquarius (Moon) mix now, which allows us to balance heart connection relationships and friendships. It can help us to open our hearts to something much bigger in our lives while keeping us smart about what we are getting ourselves into before we do it. This will be a brief Aquarius energy though, because the Moon will go Void of Course in the morning and then shift into Pisces in the late afternoon, bringing about some feelings of romance and heightened intuition. We also have a trine between Venus and Pluto today, where the deeper aspects of love become more apparent, without the usual strains and stresses. This is the time for deepening or renewing our previous commitments. Friday is another quiet one, but we still have that Pisces Moon energy in play, making it a great evening for movies, music, fantasy romance and spiritual activities. Pay attention to your dreams over night. You may want to have a lie in Saturday morning to enjoy that last bit of dreamy Pisces energy, because by the afternoon we have the Moon moving into fiery Aries wanting us to get active and be physical. Its a good time for working on things that get our blood flow circulating. An Aries Moon tends to bring conflict more than most times, with emotional tensions growing, people becoming short-tempered and impulsive. Some may show a readiness and fearlessness to act in an extreme situation. Even the sweetest tempered person can become a bit mean under this moon. However, it becomes easier to shake old problem and the weight of tiresome responsibility. We want to free ourselves from everything that bothers us and makes our lives feel uneasy. This energy will be with us through Sunday as well, so it makes it a good time for tackling those situations we want to move away from. Happy Sunday everyone! Its a weird kind of vibe we have for today. The Moon is in social Libra but many of us may feel like hiding in a cave. Being around people who are overly critical or who just press your buttons is not a good option. So stick with people who are nice and fairly positive, or who at least don’t nit pick you to death :). The start of our work week is a quiet one, so let’s take a look at how things will develop for us this week. Monday does have a subtle energy with idea planet Mercury coming into alignment with the North Node, or the Spiritual Destiny Node. Its about opening our minds to higher levels of service to the world around us. Make sure you have something with you to writer down ideas now for new projects. Or take some time to be away from the techie business world and be in nature. We have a Void of Course Moon in the early evening, where we tend to feel quieter within. Tuesday brings the Moon into brooding Scorpio, where emotional charge and sensitivity increases. Its a time where we need to be careful not to get swept away by irritability, mood-swings, hysteria, big and small excitements, and a sudden desire to quickly change everything. People tend to become more conscious of self and others, and see everything in dark tones with the Moon in Scorpio. Wednesday brings a positive trine between Mercury and Pluto, which allows us to focus on those more difficult problems, or do research on deeper topics. With this energy we seem to have a knack for knowing how to get to the heart of things. It’s a great time for mental activities which involve research, concentration and investigation. We want to explore what’s under the surface and won’t be satisfied by superficial explanations. There is bit of a negative side to this transit though, with negative people making rude comments. Just ignore them and brush any off that are thrown your way. Thursday brings us a more optimistic and adventurous energy when the Moon moves into Sagittarius. Its a great time for getting outdoors. But, if you have to work, try not to pack your schedule too tightly and make some plans for things like a longer lunch away from the office. Sagittarius tends to bring us some peace and stability. We tend to become a bit more orderly and calm, are ready to follow routines and rules and have a need for giving and receiving advice and recommendations. We may find a increase in our interests in social life and where we fit in. Friday sees the asteroid Palls move into Aquarius. Pallas represents creative and applied intelligence, that cross between intellect and action. In Greek mythology, Pallas Athena was the Goddess of battle skills and heroism, wise counsel, and the defence of towns and cities. She also rules the arts of pottery and sculpture, weaving and “women’s work”. Olive trees and oil are blessed by her energy. Pallas shows our own ability to recognize patterns as well as to arrange and re-arrange stuff. She helps us to use our minds to manifest our dreams in practical ways. Pallas in the signs indicates our style of creative expression. The signs filter her reality by shaping what Pallas sees or perceives. In Aquarius, our primary method of healing is via providing an ideal or vision for the future. It allows us to see all of the various possibilities ahead. It boosts our ability for problem solving even the most difficult of issues, in unusual and surprising way. The patterns made under Aquarius can seem genius or a bit insane. It helps us to think outside of the box. Its a revolutionary energy that defends humanitarian values as well as a respect for each persons individuality. Saturday hangs on to that upbeat and optimistic energy, but we do have some changes blending into this. The planet of restrictions Saturn starts its forward movement from its retrograde cycle that began last March. Keep in mind that up to a week prior and a week after this time frame, Saturn’s energy feels more intense and stronger than usual. Some will experience this as feeling physically or mentally “heavy” or sluggish at times. This is a time where karma and consequences rise to the surface with responsible Saturn moving forward once more. Getting real with our responsibilities needs focus and we may find we are faced with some difficult to make decisions now. There is an upside to this planetary shift though. It is a good time for making those long term commitments. Venus will also be making a challenging square to Saturn, which can make it a bit difficult to relate to others. People may appear cool with their affections and emotionally distant. You could be feeling unappreciated, unloved, or unwanted. Avoid new financial undertakings, as they may prove to be “money pits” as time passes. There may be anxiety or troubles with regards to matters concerned with the feelings. Romantic disappointments, unrequited love, separations, and broken engagements are the more negative manifestations. This transit is best used for reflection. Sunday brings the Moon into Capricorn, where our emotional charge seems to decrease as our feelings of duty and responsibility move to the fore. We tend to become more practical and logical, as well as more demanding and less sensitive to others and ourselves. We also have a tricky little transit between Venus and Neptune today. Under this influence happiness can become addictive. There is a tendency to see what we want to see and to gloss over those points, details and flaws that are more realistic in order to gain instant gratification. We need to be especially careful when dealing with others because some may feel inclined to sacrifice their own needs now, or to compromise their position more than necessary. This is a time where it’s important to hold off on making any big, important purchases, as well as starting a new relationship until that rose coloured veil lifts. Also, try to avoid legal, financial, and social involvements, contracts, or formal agreements under this dreamy influence. Below is just a snippet of August’s newsletter. If you subscribe or go to my website you will have access to the astrology section, monthly raffle and a variety of other goodies!